You could spend all day browsing London’s grand British Museum collection, but if you only have a couple hours, here’s the essentials of what to see. Soldiers in Napoleon’s army discovered the Rosetta Stone (196 BC), the most critical key to deciphering Egypt’s hieroglyphics, in 1799. 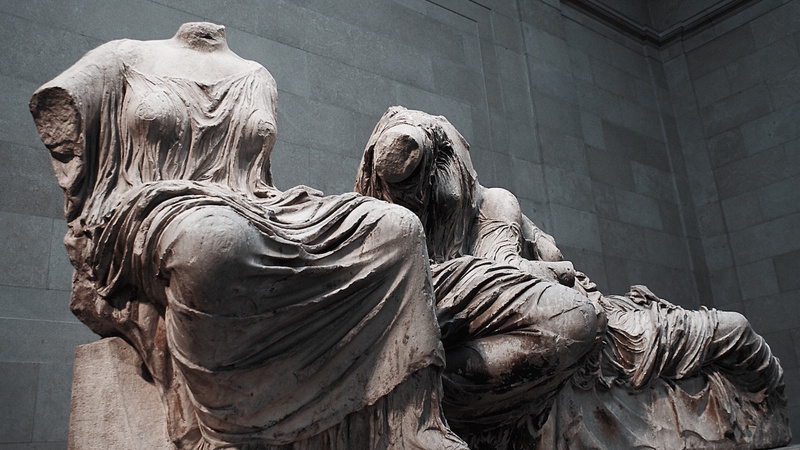 Sometimes called the Elgin Marbles, these 2,500 year-old remnants of ancient Greece have been on display at the British museum since 1817. 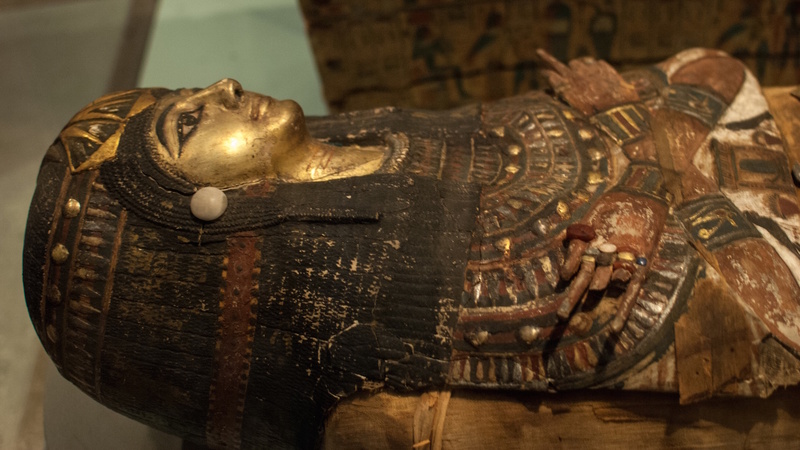 She is one of the most studied mummies of modern times. Katebet, the ‘King of the Gods’ sang and performed rituals during temple rituals in ancient Egypt. 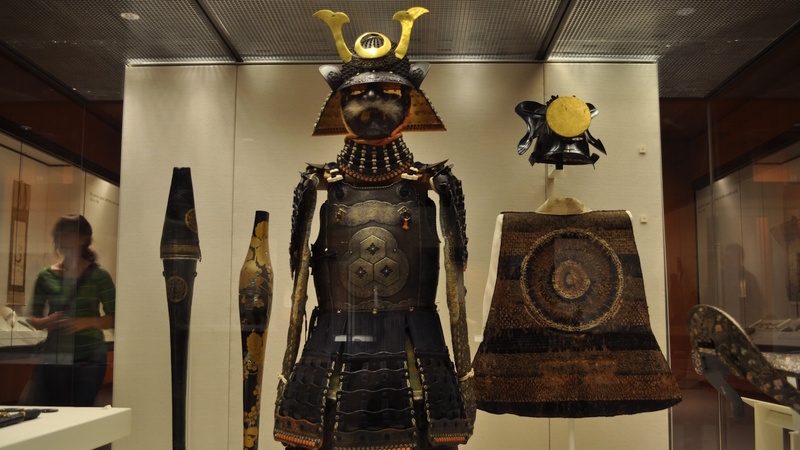 The British Museum holds a set of Samurai armor made up from different periods—the cuirass and sleeves is 16th century, helmet, 17th, and the rest, 18th and 19th. 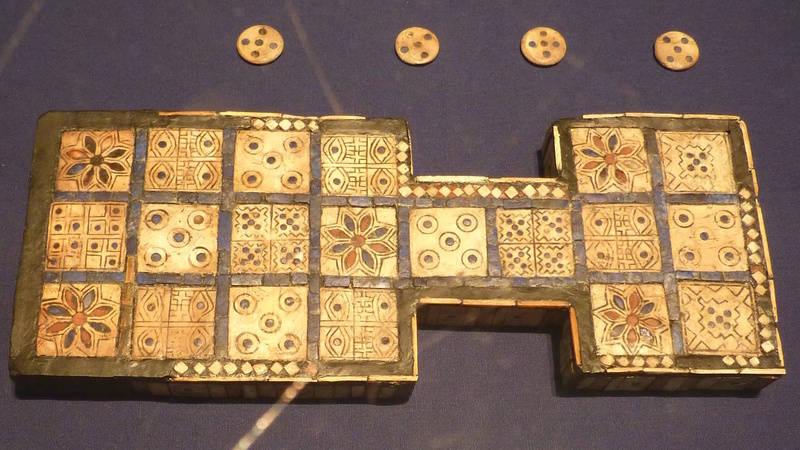 This 5,000 year-old game was popular across the eastern Mediterranean, Egypt and Indian. This particular item dates from about 2600 BC and was found in southern Iraq. 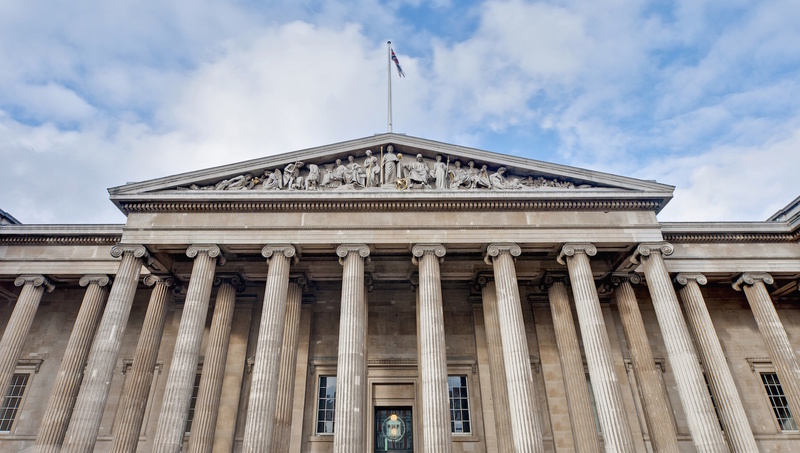 How do you decide how much time to dedicate to the British Museum? It's difficult to say when faced with such a massive collection. These are just the highlights; you'd barely scratch the surface of all 8,000,000 objects within a few hours time. It is free to enter, so there is absolutely no rush. Ideally, budget for a day spent inside wandering through history. This means that it will be busiest on rainy days. Try to plan ahead and arrive at the 10:00AM opening. Open daily 10:00AM to 5:30PM, closed December 24, 25, 26 and January 1. Museum entry is free, but prices increase as you add recommended tours and other perks. A guide is always a good decision in a museum this large. You'll see the pieces that interest you most, woven in with history along the way. The nearest Tube stations are Holborn, Russell Square and Goodge Street, and many buses stop nearby. Selected galleries are open until 8:30PM on Fridays. Luggage storage and cloakrooms are available onsite for a nominal fee. Melissa was wonderful, providing an interesting & entertaining tour! We had our 9 year old and 15 year old daughters on the tour with us. Melissa did a great job answering all their questions and making the tour interesting to both of them, while at the same time making sure that the adults also were engaged and learned a lot. I would recommend the tour to anyone with an interest in truly appreciating all the unique items on display at the British Museum. Roberta was enthusiastic, highly knowledgeable, charming, and great! We totally enjoyed our time with Roberta at the British Museum and would highly recommend her. She was inspiring and very knowledgeable about the works — and welcomed some of us “chiming in” with more bits of info. One can imagine that some tour guides might find this tiresome— but she was totally charming! The guide was great. We learned so many things - was amazing. He made the point of contacting me via Whatsapp to get details on the meeting point (which I didn't read of course). The telephone number for enquiries was easily found on the app and the operator made a great deal at answering me very quickly (help, can't find the guide). I'd recommend anyone to do this tour. The tour guide was excellent and presented many facts and in very interesting ways. The time passed too quickly. I would recommend the tour to everyone. I felt as if Roussa (our guide) gave us a complete review of my favorite college course in Western Civ but in a way that was easy to understand. My 15 year old grandson was totally engaged the whole time. We had to hurry past exhibits we would like to have spent more time with, but if you want to get an overview of the HUGE British Museum, the was an excellent experience!